The plant originated from India, China, Indonesia, Malaysia, Madagascar and the oil is mostly made in India. Its a climbing perennial plant which will climb 20 or more feet but for commercial purposes it is restricted to 12 feet. The plant is rooting at the nodes and stem glabrous. Berry globular, when wipe turning black after dying. It is a strong and sharp spicy smelling oil and bitter to taste. Oil is a pale yellow irritating liquid with a sharp peppery odor and is obtained by steam distillation of the unripe dried fruit (peppercorns) of the plant Piper nigrum (black pepper). Oil is commonly used in food, healing oils and aromatherapy. Black pepper oil has various chemical compounds that include Limonene, Pinene, Myrcene, Phellandrene, Beta-caryophyllene, Beta-bisabolene, Sabinene, Linalol, Pinocarveol, Alpha, Terpineol, Camphene and Terpenene. Extraction It is extracted by steam distillation. The therapeutic properties of black pepper oil include analgesic, antiseptic, antispasmodic, antitoxic, aphrodisiac, diaphoretic, digestive, diuretic, febrifuge, laxative, rubefacient and tonic (especially of the spleen). It helps in eradicating problems like Aching muscles, arthritis, chilblains, constipation, muscle cramps, poor circulation, sluggish digestion. 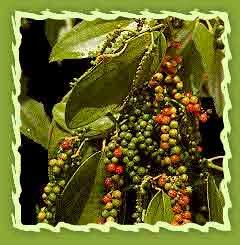 Black pepper oil can be used to help in the treatment of pain relief, rheumatism, chills, flu, colds, increase circulation, exhaustion, nerve tonic, fevers muscular aches, physical and emotional coldness. It furthermore increases the flow of saliva, stimulates appetite, encourages peristalsis, tones the colon muscles and is a general digestive tonic. Black pepper essential oil can be used in a chest rub to help relieve congestion and flu symptoms. It can be used in relaxing bath. Vegetable oil is added for truly moisturizing experiencing. It is also act as an relaxing body massage oil. Stimulating for the mind, aiding concentration and strengthening the nerves.Helpful for coldness, indifference and apathy. Effects on the body: A warming oil, excellent for poor circulation, anemia and after heavy bleeding, invaluable for muscular aches and pains of all descriptions, restores tone to the skeletal muscles and generally dispels toxins. It is mainly used as gourmet in food additives. Pepper is mainly marinate with salt and vinegar and as a preservative.Ingredients - Southwest-Style Chicken Egg Rolls, filling, corn, onions, black beans (black beans, water), fully cooked seasoned chicken breast with rib meat (Chicken breast with rib meat, water, salt, sugar, sodium acid pyrophosphate, rosemary), monterey jack cheese (cultured pasteurized milk, salt, enzymes), tomatoes, cabbage, whey Powder, seasoning blend (salt, monosodium glutamate, food starch modified, onion powder, garlic powder, dextrose, hydrolyzed corn protein, dehydrated parsley, spice, extractive of turmeric), precooked long grain rice, cottonseed oil, modified food starch, cilantro, sugar, key lime juice concentrate and garlic. It is an wonderful addition to men fragrances. It is an excellent anti-oxidant agent. It is used as an fixative and as well as binding agent in resin industry. Black pepper is used in blending other essential oils. Used alogwith other essential oils in perfumery. 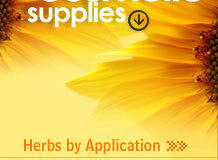 Also used as an important ingredient in pharmaceutical and naturopathy products.